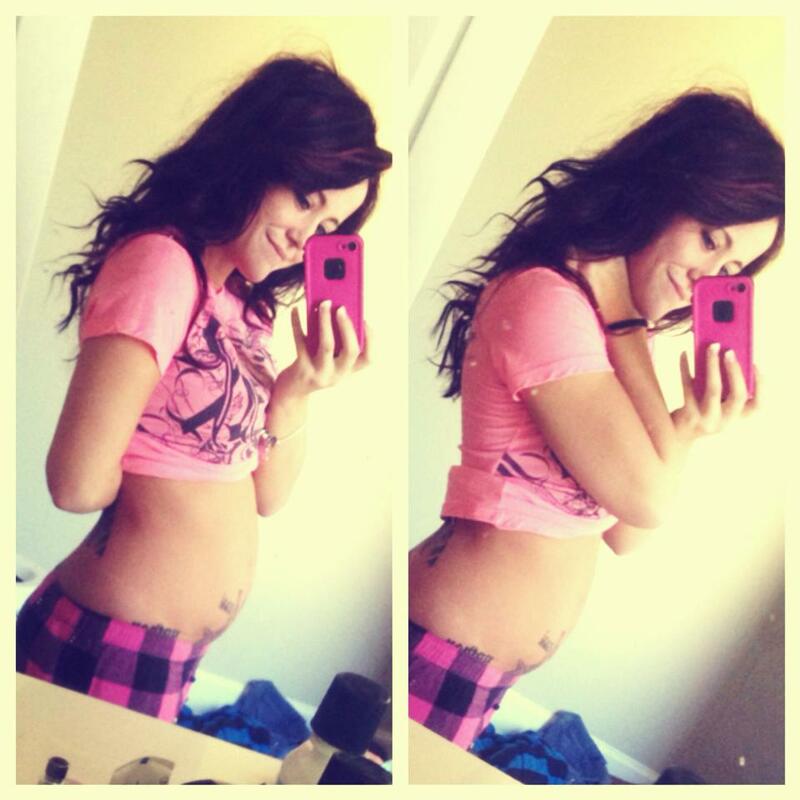 Jenelle Evans Pregnancy Update! Bump Photo! Today she posted this new photo of her baby bump at 14 weeks along. Previous Previous post: Farrah Abraham – Couple’s Therapy Super Trailer! Next Next post: Mackenzie Douthit Opened An Etsy Shop! 100% Pro-choice but I do not respect women who get irresponsibly pregnant MULTIPLE times. This is what her 4th irresponsible pregnancy now? That we know of. Clearly nobody taught this girl about birth control. Buy some damn condoms.